Notes: After an excellent self-titled album in 2015, this soloist turned duo finally returns with a nice folk track with a modern twist. Notes: Following some great social media co-signs, the current single from this London-based singer sounds like a future radio hit. 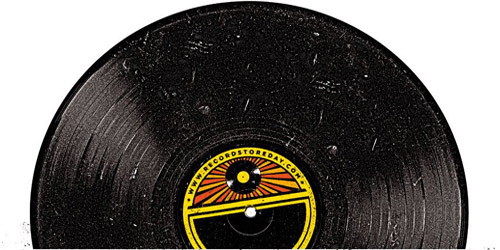 All the spin on RSD. Another year, another round of Record Store Day shopping is on schedule for this Saturday, April 18. The annual event is once again taking place all over the world, and the massive music fest is sure to bring out even more people than last year, so make it to your local store or stores early enough so that you don’t get caught behind the huge lines. With another diverse collection of exclusive CD and vinyl pieces across all genres and eras, there’s something for everyone, but quantities are limited. If “Feel This Moment” wasn’t a musical moment for you, there’s always the 1985 classic to look back on, a huge #1 for the band on the Billboard Hot 100. The best part about this release is it’s a picture disc with a frame from the iconic video. Radical, man. This special four song set from the phenomenal brother trio features some of their international hits from the RSO era, like the Saturday Night Fever cuts “Stayin’ Alive” and “Night Fever”. In fact, all four songs can be found on that landmark soundtrack. 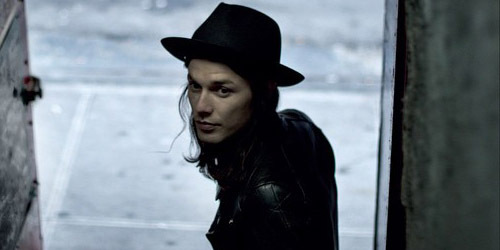 “Dangerous” is the biggest single to date for producer Alan Wilkis, a #1 song on the Alternative chart last summer and included on his recent 2.0 album. This release definitely has one of the coolest package designs for RSD as it looks like a big floppy disk. The word legend gets thrown out a lot nowadays, but Bowie truly is one and this classic single is a reminder of that status. From the Hunky Dory album, it charted twice but never made the top 40. The picture used is a different one from the original sleeve. Johnston’s best-known song was a minor Alternative hit in the fall of 1994 before crossing over to the CHR chart in 1995. This split 7″ release concept has been one of the essentials throughout past events, including the always popular Mystery Artist one. “Man” is the leadoff single (and a top ten Alternative hit) from How Big, How Blue, How Beautiful, scheduled to be released in early June. The 12″ single release comes on blue vinyl encased in a copper sleeve and features the b-side “As Far As I Can Get”. The California quintet is welcomed back onto the RSD list after appearing on a split single two years ago. This EP, a three track set strictly featuring covers, includes two unreleased songs and an additional remake recorded for a Spotify session last spring. They may have lost the banjos, but they haven’t lost their enthusiasm for the holiday. I purchased a vinyl copy of their EP Live At Bull Moose in 2013 and I will be looking out for this. The jacket is not fancy, but the song is a solid Alternative chart-topper. Are you looking forward to the RSD celebration and is there another cool release not listed here that you’ve got to buy? Let me know in the comments or on Facebook or Twitter: click the “Get Social!” tab above to find us on there. Catching ZZZ’s and the #1 spot. 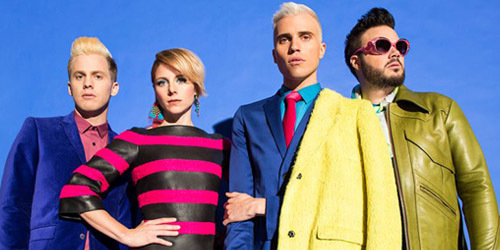 As the old Irish proverb states, “A good laugh and a long sleep are the two best cures for anything.” Well, not only are Neon Trees “sleeping” on their latest single, but they may as well be having a nice chuckle too. Their sixth top 40 entry becomes their second #1 single, as “Sleeping With A Friend” advances 2-1. It’s their first song to reach the top since debut single “Animal”, which spent four weeks at #1 in the fall of 2010. 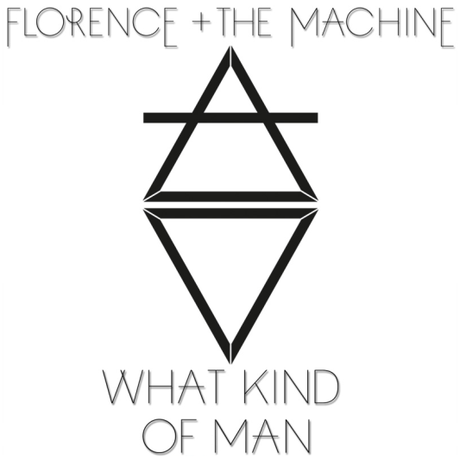 This, of course, displaces Christina Perri‘s “Human”, which falls to #2 after six weeks at the throne. For the second week in a row, the Biggest Mover on the countdown belongs to newcomer DJ Cassidy, along with chart veterans Jessie J and Robin Thicke. “Calling All Hearts” leaps from 31-24, the first single from Paradise Royale, due in May. A video clip for the song debuts early this week. This week’s Highest Debut at #36 belongs to Bleachers, a new project from fun.‘s Jack Antonoff. The trio was responsible for three back-to-back #1 singles in 2012; can his new act also reach the top? We’ll see. “I Wanna Get Better” goes to Alternative and AAA radio next month. At #39 is the other debut this week, “Be Okay” by Oh Honey. The Brooklyn based duo of Danielle Bouchard and Mitchy Collins are the newest members of the Atlantic Records family after signing with the label late last month. I first heard the song about five weeks ago when it was added to Hits 1 on SiriusXM. Way to go, you two!